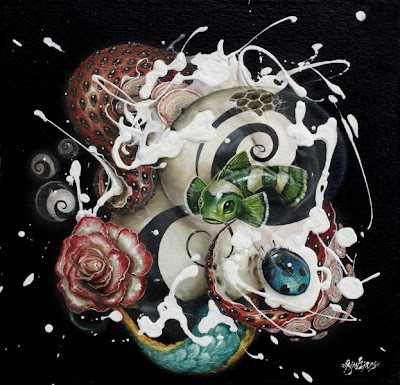 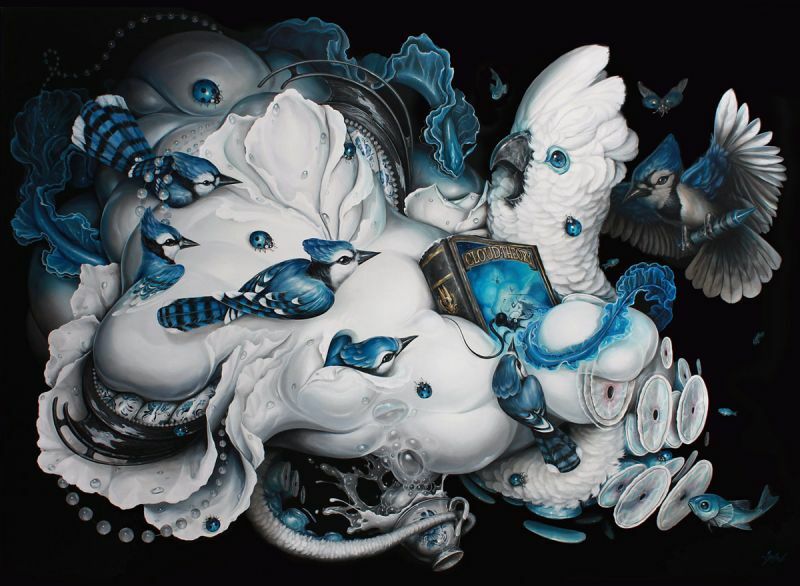 Greg "Craola" Simkins is a Fine Artist based in Los Angeles and raised on cartoons, well written stories, animal planet, graffiti and tattoos. Born in 1975 in Torrance California, just south of Los Angeles. He grew up with a menagerie of animals including a number of rabbits, which often emerge in his paintings. 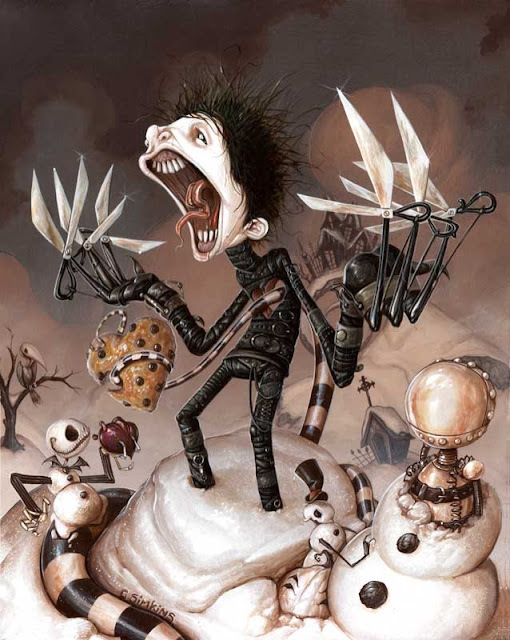 He began drawing at the early age of three and was inspired by various cartoons and books. 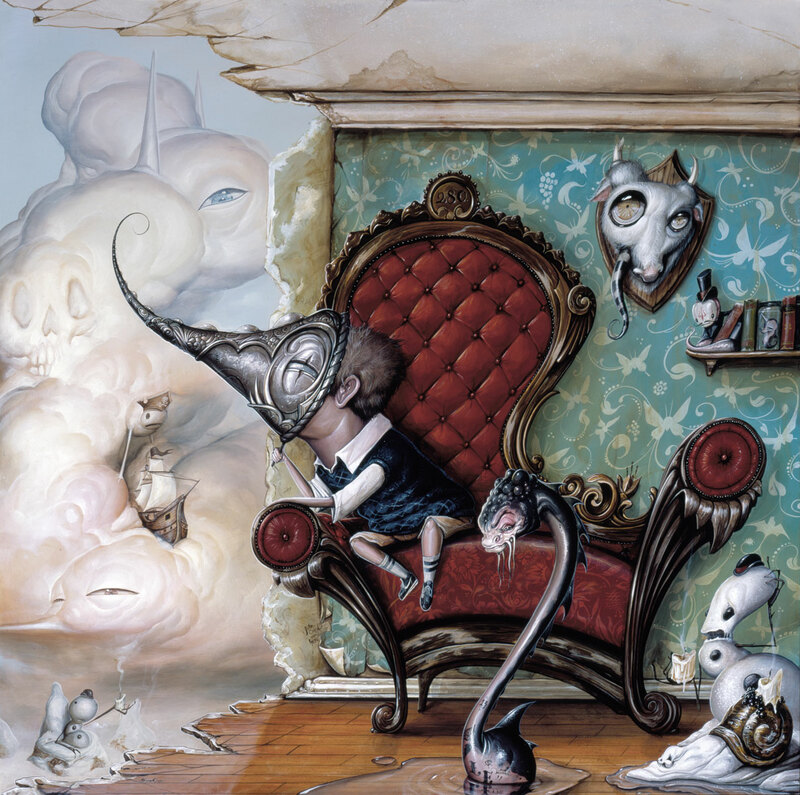 Some standout books that still find their way into his art are Watership Down by Richard Adams, The Chronicles of Narnia by C.S. 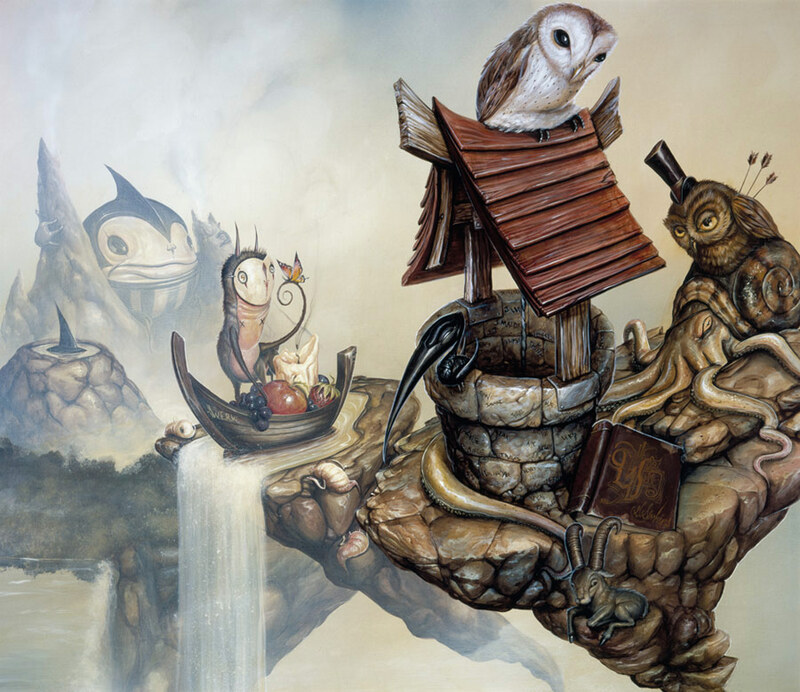 Lewis and The Phantom Tollbooth by Norton Juster. 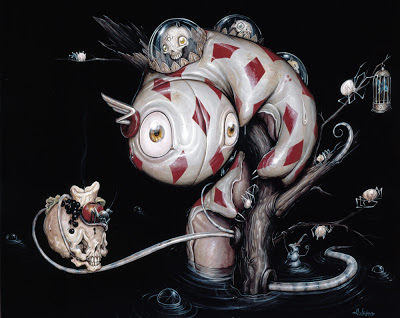 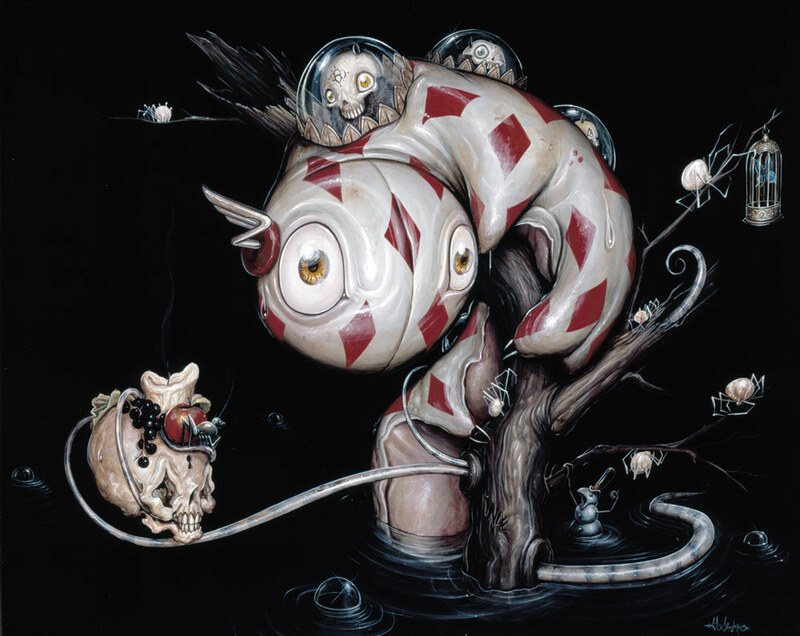 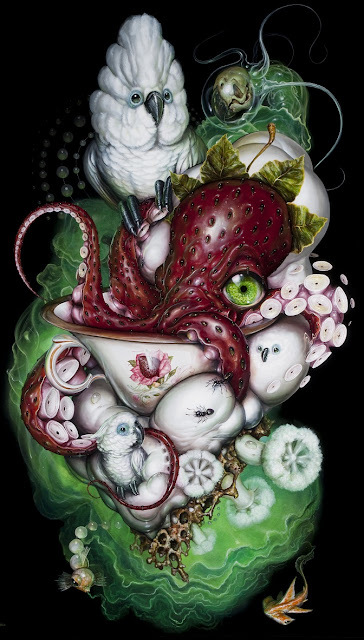 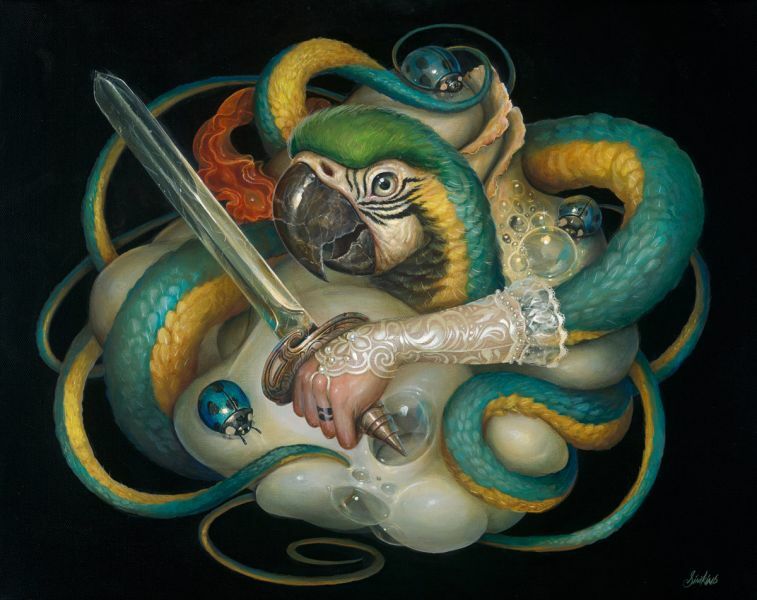 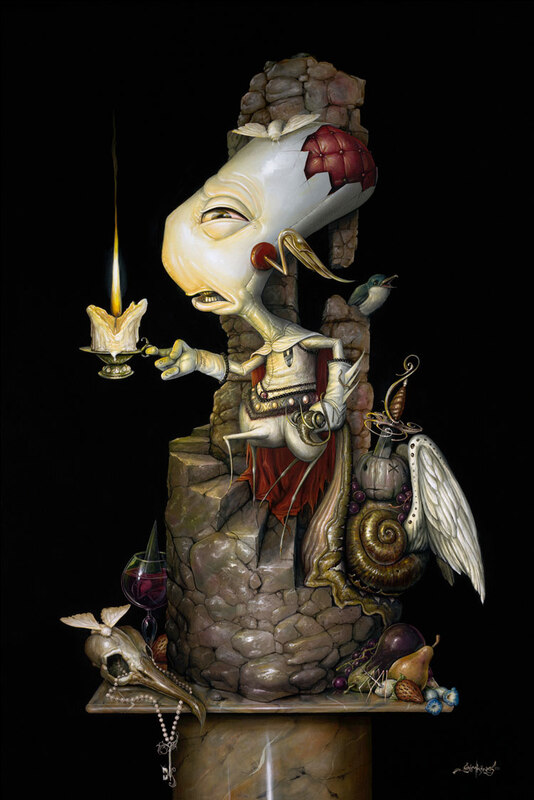 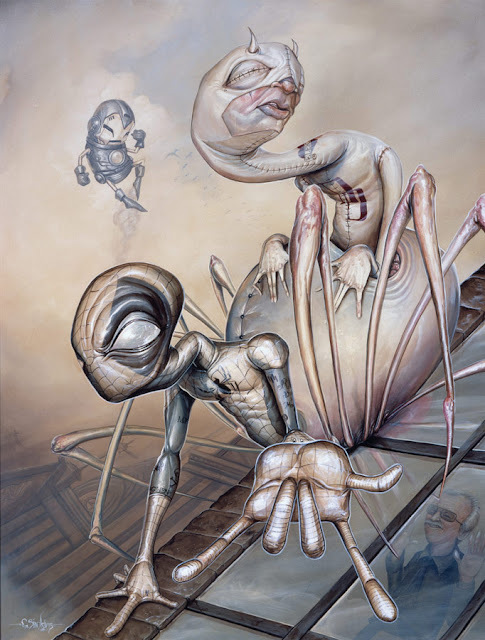 Simkins’ art continued to progress to the age of 18, when he started doing graffiti under the name “CRAOLA”. 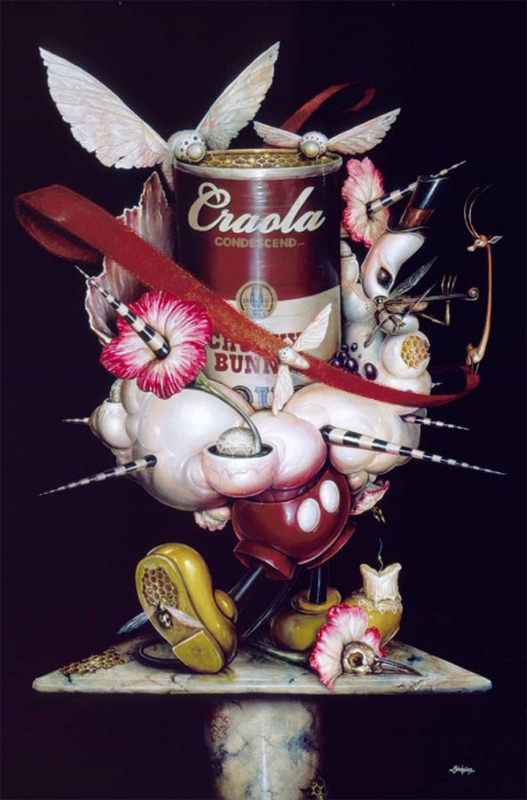 Graffiti art became his impetus for creating and gave him the confidence to paint large works. 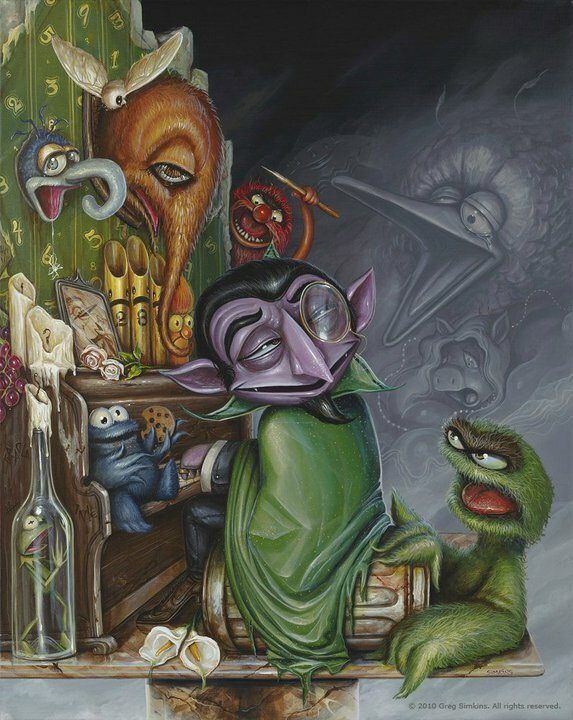 In addition it taught him perspective, color theory and further developed artistic skills, which later translated into his work with acrylics. 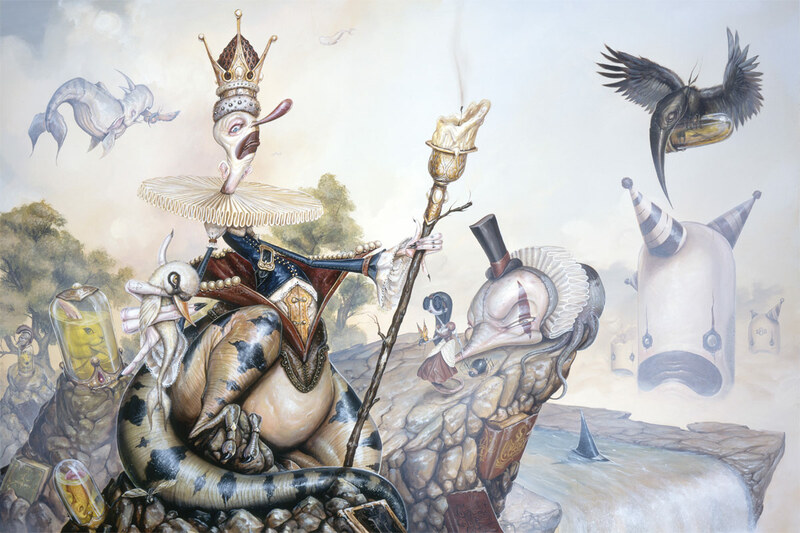 It is his careful weaving of pop culture, the old masters, nature, carnival kitsch, and (most importantly) his warped imagination, that makes Greg Simkins a sought-after surrealist painter today. 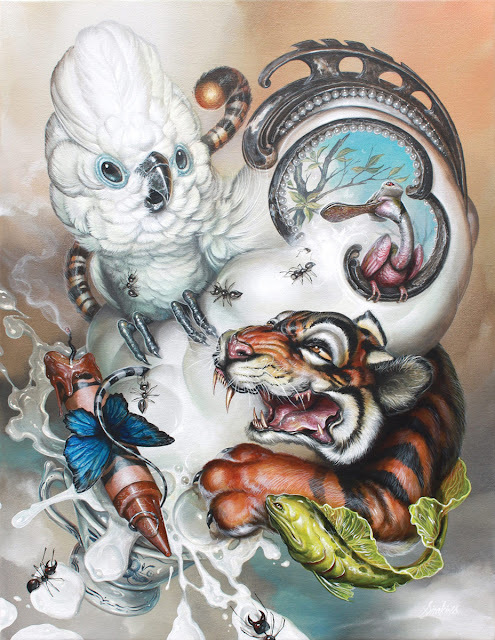 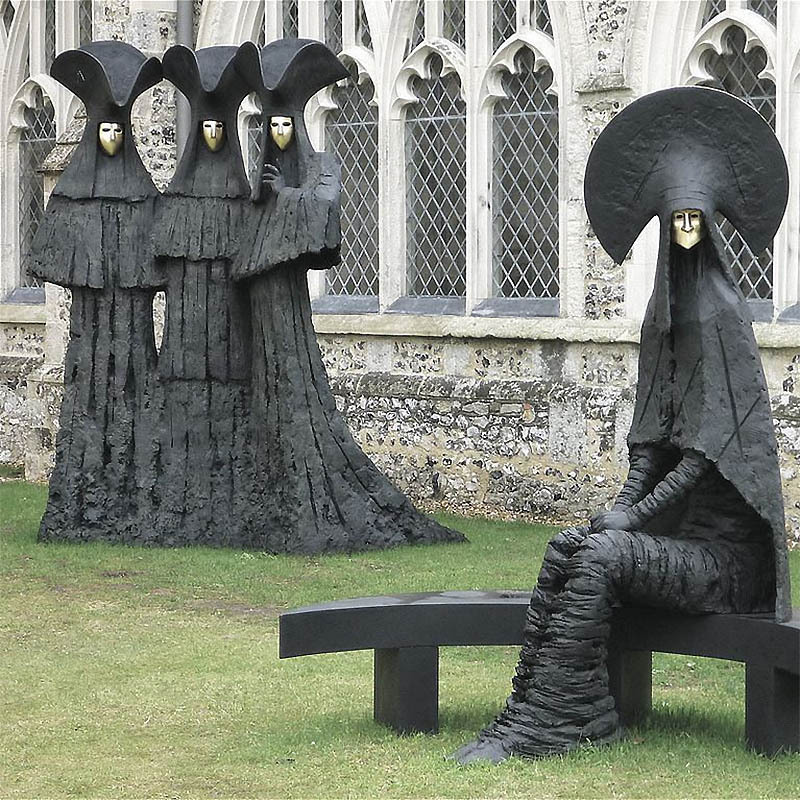 Simkins’ artwork currently appears in galleries throughout the world.